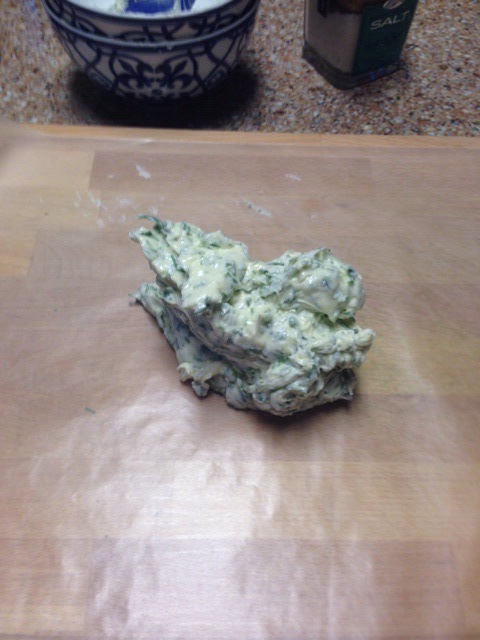 This week I made compound butter from the fresh herbs I collected in the garden. It was extremely easy to make. 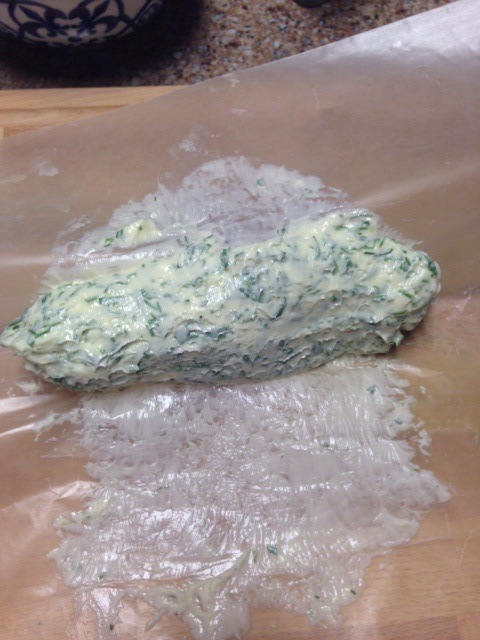 I took softened unsalted butter and combined with the herbs. The first was tarragon with salt and pepper. 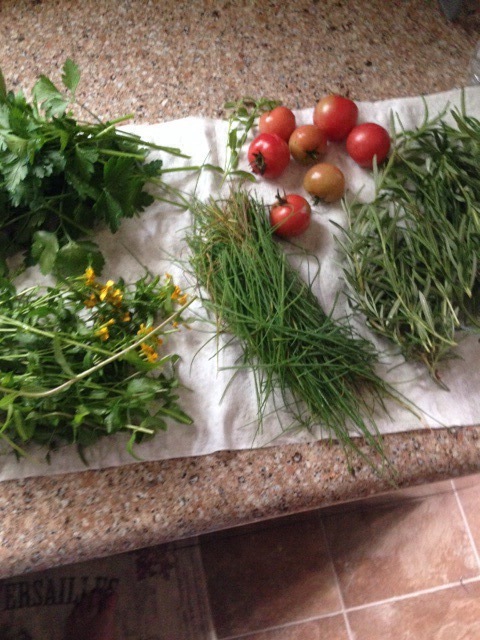 The second was chives, parsley, and rosemary. 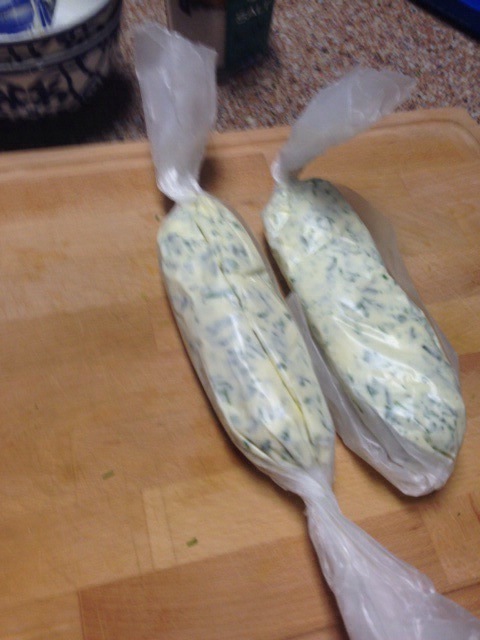 Simply softened the butter on the counter, chopped up the herbs and mix. I added salt and pepper to taste. Spread onto wax paper and refrigerated. Have used the butter on wonderful bread from the bakery as well as cooked vegetables. Very tasty. Another night I made the Shrimp Scampi. It was Red Lobster’s copycat recipe. Super easy and quick. I used Cupcake Vineyard’s Angel Food wine for it. It’s nice and light tasting. Steamed up some broccoli to pair with it and served over angel hair pasta. The bread of course I used the compound butter. Again a hit with the family. 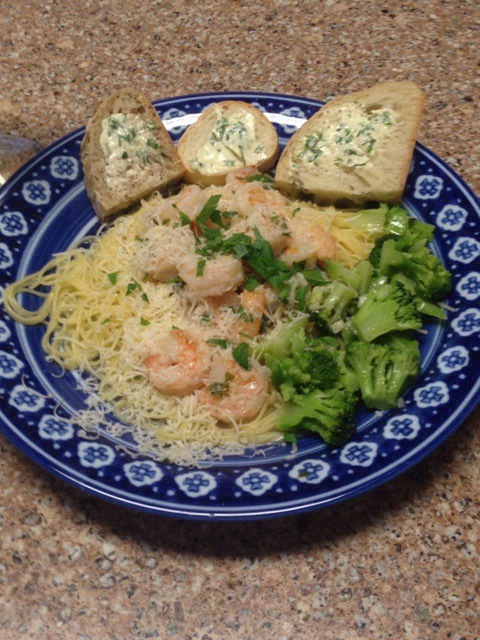 Now I have made Shrimp Scampi before, but had not tried this recipe. This was first time I felt the sauce turned out well.